Maybe you tried a home-based business and failed, or at least did not have the success you desired. Think about this: If you go out to eat and have a bad experience, you don’t stop going out to eat, you choose a different location. Change the location and you change the experience. We can help you do that. We think you will agree that, in order to increase your chances of success, it makes sense to have a coach or mentor to guide you through the challenges and pitfalls of starting your own business. We are a group of business professionals who, together with our teams, have experience in the Network Marketing Profession and have over the past 25 years generated over 2 billion dollars in sales with millions of dollars being paid out in commissions. And now, we are currently in our most focused growth phase and we offer the coaching and mentoring necessary to succeed in this turbulent time of economic stress and uncertainty. Collectively we have over 80+ years experience in the home-based business sector. Together we have earned over 45 million dollars from our home-based businesses and have collectively moved to a 23 year old, expanding, successful legacy company currently entering our next momentum phase, positioned to be our largest to date. As we continue to expand, we offer to you our proven systems, plus the coaching and mentoring necessary to help you achieve success. If you decide to partner with us, our coaching and mentoring are free. Your low-cost investment with our joint venture partner, NewAge Beverage, one of the hottest companies on the NASDAQ gives you the tools you need to demonstrate and recommend this home-based wellness business. A step-by-step business-building process tailored to each person’s skill set, personality, and ambition. Free access to professional leaders who will match your effort with superior support, mentoring and training. The support of a veteran team with over eighty years of experience whose expertise will enhance your ability to develop proficiency in the critical areas of home-based business. A partnership with a solid, progressive 23 year old wellness giant with less than 1% market penetration in North America. This multi-billion dollar wellness company is on the cutting edge of product development and they offer complete back office support from which to build a global business. 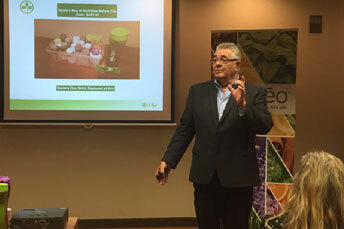 Their recent merger with NewAge Beverage, one of the hottest companies on the NASDAQ, a lifestyles company focused on becoming the number one healthy beverage company in the world places Morinda in the enviable position of being the network marketing opportunity for 2019 and beyond. The assurance that the products you represent make a real difference in the lives of others. Your income is a result of marketing products that are not just good for you but that are vital to your health. A turn-key operation ready for you! We will take you through a complete evaluation process before you make the decision as to whether this business is right for you. First, we will schedule a 30-minute appointment. This can be accomplished on-line via videoconference. We begin with a few key questions, and then share with you who we are and what we do. You will then have an opportunity to ask any questions you like. This is a brief overview and mutual discovery process that allows us to determine if we would like to extend a partnership offering to you, and for you to decide if this might be a fit. If, at the end of this process there is a mutual fit, we can move forward with getting you started. Click here to see an overview of our products and opportunity.